Let’s Detect Kidney Disease Early! 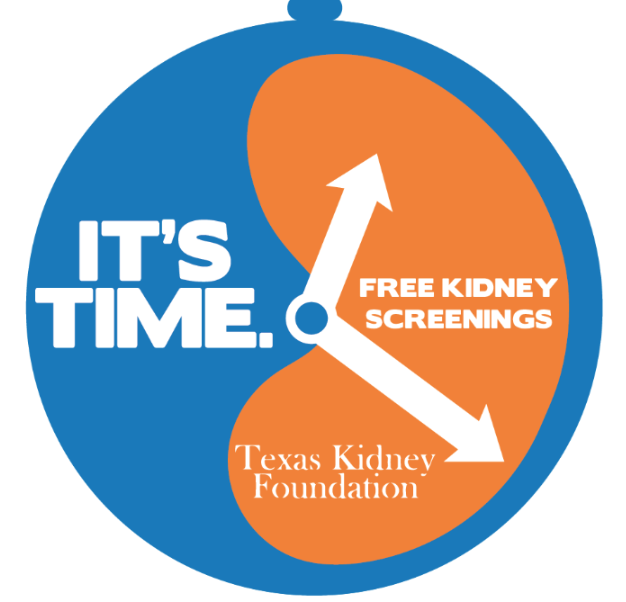 The Texas Kidney Check (TKC)program began in 2013 as a multi-faceted free wellness check. For many of the participants we serve, the TKC is the only healthcare they will receive for the year. With that knowledge in mind, we created an exam that checks hypertension, diabetes and creatinine in about 15 minutes. In 2018 our early detection screenings identified 2 or more indicators of CKD in 56% of the participants. If early detection prevented the onset of end stage renal disease for one year in the identified participants, it would save Texas taxpayers nearly $273 million per year. CKD costs $94 billion per year nationally and $5 billion per year in Texas. In 2018 TKC served 4,577 participants in 159 screening events in 42 Texas counties. Every volunteer hour and donor dollar given to Texas Kidney Foundation serve’s the residents of the state of Texas. Our team of Kidney Crusaders are making a difference, please continue to support us as we improve the lives of Texans. Drop by anytime during the scheduled hours. No need to make a reservation. YOU WILL BE TESTED FOR HIGH BLOOD PRESSURE, KIDNEY DISEASE, AND DIABETES. TESTING SHOULD TAKE APPROXIMATELY THIRTY MINUTES. YOU’LL RECEIVE A SHEET WITH ALL YOUR TEST RESULTS FOR YOU TO TAKE HOME. IT’S ALSO A GREAT IDEA TO ALSO SHARE THESE RESULTS WITH YOUR DOCTOR. A MEDICAL PROFESSIONAL WILL BE AVAILABLE TO REVIEW AND DISCUSS YOUR RESULTS ONE-ON-ONE WITH YOU BEFORE YOU LEAVE. A DIETITIAN AND SOCIAL WORKER USUALLY WILL BE AVAILABLE TO ANSWER ANY QUESTIONS YOU MIGHT HAVE. EDUCATIONAL MATERIALS ON KIDNEY DISEASE WILL BE AVAILABLE.